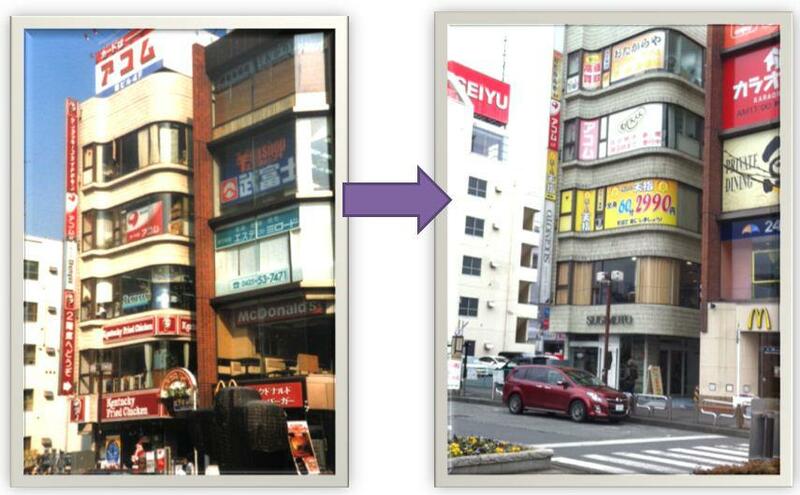 Tokyo 5 recently posted an image of when he first came to Japan in 1990. 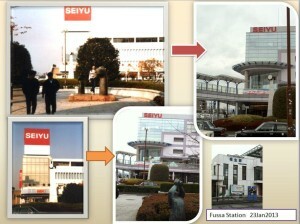 It reminded me of my own time in Fussa, Japan from 1989 to 1991. A friend of mine in Japan, K-chan, took some photos earlier this year of Fussa, which is outside of Yokota Air Base. She used some photos I had taken from 1989 and took similar shots from January 2013 to show how things have changed. Since Tokyo 5 was interested in seeing these shots, I thought I’d just make a blog entry and share them. The photos on the left side are obviously mine and on the right, K-chan’s. 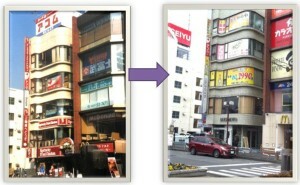 I’m told that Dunkin’ Donuts is no longer at the Seiyu building (some other donut shop is there now…I think). Good times. I really do want to go back to Japan some time and visit all of my old haunts. This entry was posted in personal news and tagged Japan on October 21, 2013 by AstroNerdBoy.